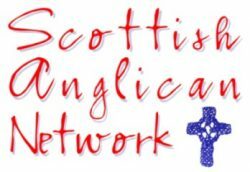 This address was recently given by a priest of the Scottish Episcopal Church to a gathering of clergy and lay people in one of the more remote areas of Scotland. Many will share these reflections of deep theological and practical concern about the proposed change to Canon 31. The current canon on marriage is founded on Jesus’ own words which are found in Matthew 19 vs 5-6. He make three points. He who made them in the first place made them man and woman. For this reason a man will leave his father and mother, and will live with his wife. The two will become one. Let no man divide what God has put together. These are the words of our Lord Jesus Christ. God incarnate, the author of our being. This is His teaching which we summarize with the word marriage. Given by the one we proclaim as our Lord. Whether we will continue to proclaim him as Lord is what this meeting is here to decide. For me , that is what is at stake. Lordship has but one meeting, absolute authority. The authority, the right, and the duty to command and rule. Jesus is the Christ the anointed one. Christ the King. He is The Way, The Truth and The Life. The one who has declared that heaven and earth shall pass away, but my words shall never pass away. The one to whom every knee shall bow. The one to whom we must stand and give an account at Judgement. Canon 31 at present defends his teaching, his word, his Lordship. The proposed changes make a mockery of all three. It effectively teaches that we can abrogate his authority, change the meaning of his teaching, disregard his word, and so take away his Lordship, because we know better. This is the catastrophic message that this change would send to the world. It sends the message that, deep down, we see the Jesus of the Gospels as being just a man of his own time who didn’t understand and couldn’t know what we know now. It implicitly denies that our Lord is the Alpha and the Omega, the Lord who speaks to all time. It sends the message that this fallible Jesus is not the unique Son of God, fully God and fully human, but just one of history’s many holy teachers whose words we can pick and choose from as it suits us. This change denies that Christ is Lord, that he means what he says and knows what he means. The proposed change is uniquely divisive because it crystallizes the moment for a parting of the ways with a stark choice, and a question we must all come to answer. Is He Lord, or is He not? Do we stay with His teaching, and live by His words, including Matthew 19, or do we substitute our own words, which is what the change means. It is claimed by its supporters that this new teaching comes from the Holy Spirit. However, our Lord himself declared that the Holy Spirit will confirm all his words, not deny or change them, If they are being led to this change, then it is by the Spirit of the Age. It is easy to understand why. We have all been caught up, to one degree or another, in a gathering maelstrom of emotions as we address issues of justice, inclusiveness, human rights and our own imperatives of doing the right thing. While at the same time dealing with vulnerable people, that we love and care for in our own families and communities. That’s certainly where I am. However, as Christians, and as a church, the proposed change has now faced us with the stark choice and awesome responsibility pf accepting or rejecting Christ’s teaching, and all that implies. So we must now step out of this swirling vortex of emotional response, and face a question of an entirely new order of magnitude. We must step into the still and quiet centre at the eye of this storm and answer the question that will then inform and govern our answer to the proposed change. Is Jesus Lord or is He not? On our answer will depend the future existence of our church. For this reason. When Jesus asked Peter, “Who do you say that I am?”, Peter answered, “You are the Lord.” Jesus said this affirmation would be the rock on which he will build His church, all other foundations are of sand that will certainly fail and be swept away. The proponents of this change, swept up in the emotional issues that surround it, are calling us to change Christ’s teaching, abrogate Christ’s Lordship, abandon the rock on which the Church is built and move to a foundation of sand, which Christ himself has condemned to failure. For all these reasons this change is a step we should not even be contemplating. It puts everything we are as Christians and as a Church at stake. It puts every one of us before the question Jesus asked Peter, and we must each give an answer. “Who do you say that I am?”. Our response to our Lord, what we say to Him, will determine how we deal with Canon 31.